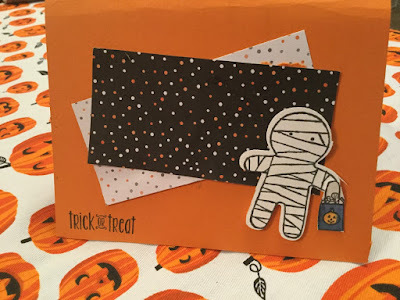 I didn't get a chance this month to play with my Halloween products as much as I wanted, but since we are here on Halloween night, I thought I'd take time to share what we made in our October card making class while I wait for trick or treaters. Class attendees also had the chance to make one project teaching a new technique or two. This month was the first chance to make a Z-fold card and try out aqua painters. This is my very first time playing along with a Global Design Project and I had such a good time. When I first learned about the theme, I started thinking about what I wanted to do. I have a few animal/pet stamps so it was a matter of narrowing it down and making a choice. Llamas are talked about a lot around here and not seen all that much. So, I thought a llama would be perfect. But, the only llama stamp set I have is Christmas themed from the Holiday catalog. And, I just couldn't wrap my head around using traditional Christmas colors with a llama. Besides, at my house llamas and rainbows are frequently discussed together. Festive Birthday DSP to the rescue. I found a striped print with a multitude of colors that was the perfect background for the llama. So, I used that along with Melon Mambo and Elegant Emerald Cardstock to bring the colors together. Stamped sentiments in Emerald Envy ink and a Christmas tree punch out of Festive Birthday DSP completed the look. Here it is -- my first ever card for the Global Design Project. It was so much fun to play along. 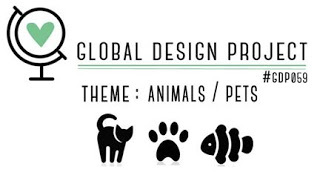 To check out the cards made by the design team and other entries in the GDP click on the Global Design Challenge page to check them out. 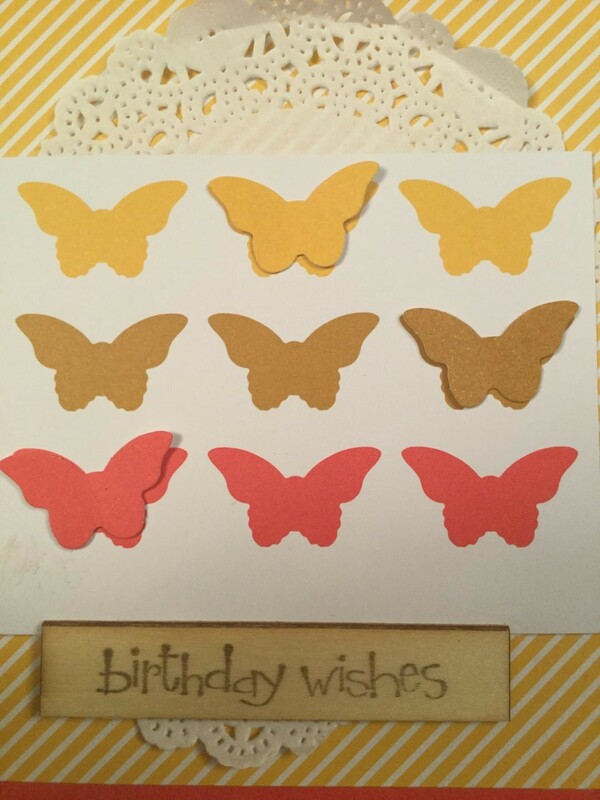 Here is the final Facebook LIVE video from my World Cardmaking Day event. I show the finished product of a card I began making earlier along with some Christmas card events. Then I started playing with my Work of Art Stamp Set to see what I could create. I wanted to create a Cancer Ribbon card and this being October, I chose to make it pink. Let me know if you can tell what it is and if you prefer the Rose Red ink I used on the video or the Flirty Flamingo ink I used later. Also, I think the video cut off before you got to see my project I was making with the zig-zag stamp. Scroll to the bottom of this post and you will see a picture there. Can you tell what I used for inspiration? Comment and let me know if you would be interested in more Facebook Live videos. If you sign up for my monthly online class, you will be invited to a private Facebook event where I will post videos making the cards in the class. Would you be interested in public Facebook Live videos where you watch as I put a card together and maybe teach new techniques? Comment and let me know. 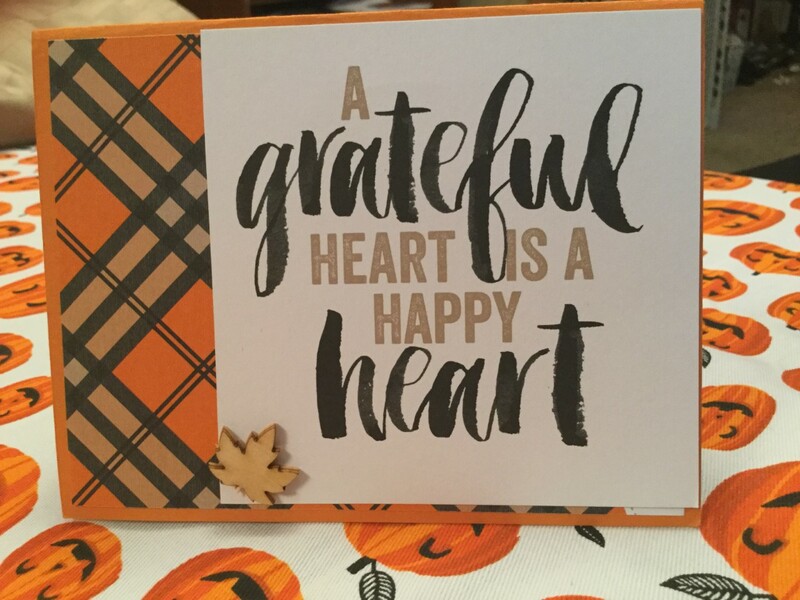 I happened to do a Facebook LIVE video on World Cardmaking Day featuring the stamp sets we will be using for online classes in October and November. Now is the perfect time to share them with you all. You have until Friday to register for the October class. This month I will be providing a video of myself putting the cards together as well. If you have Facebook, I will create a live event and we can make cards together or you can watch the videos whenever you have time. If you don't have Facebook I will make a YouTube video for you to watch as well. Enjoy the video and see if this inspires you to want to start creating with your own copy of these stamp sets. 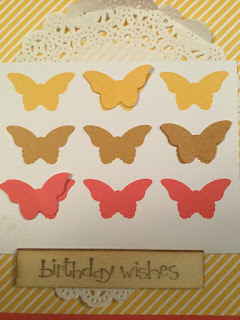 One of the FaceBook LIVE videos I did for World Cardmaking Day used Project Life from Stampin' Up products. I know these are advertised for memory keeping or scrapbooking. But, they can be used to make some amazing cards pretty easily as well. 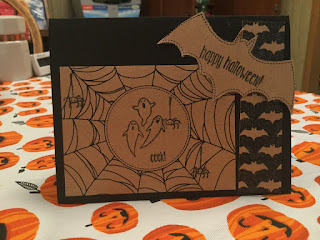 So, since it was World Cardmaking Day, that's what I did. Here are my samples of the cards I made both on the video and after that day. I loved that process so much that I bought myself another Project Life set that is currently found in the clearance rack. 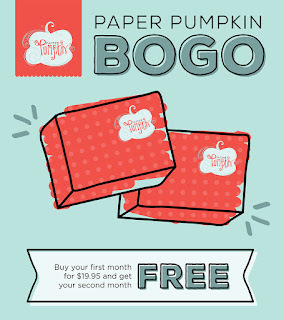 That is a great way to try a product you've never tried before for a minimal monetary investment. Enjoy the video and the pics of the card samples. Let me know what you think. Here is my second attempt at a Facebook LIVE video. This one is much more organized. I have everything ready to go this time. 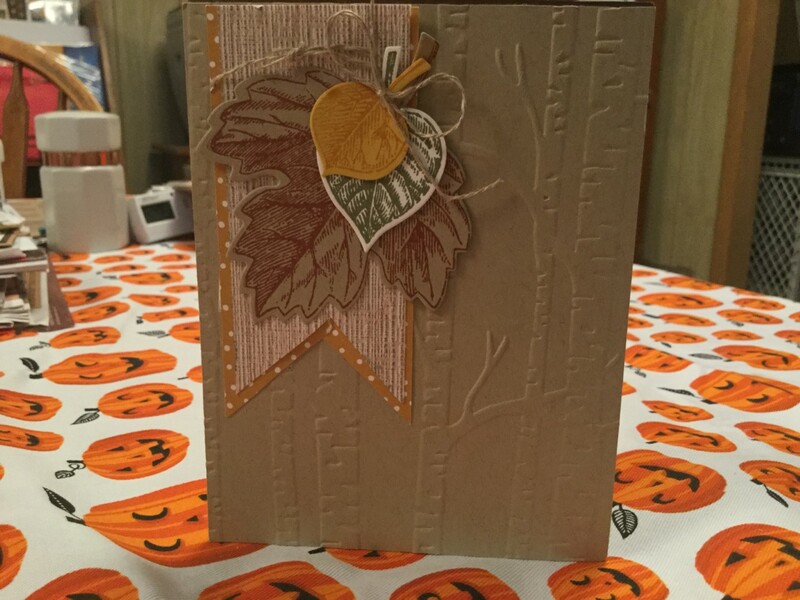 So, have fun watching as I put together a fall themed card and play with some paper embossed with the Big Shot. Enjoy the video and let me know what you think. I filmed my first Facebook Live videos for World Cardmaking Day this past weekend.. They are not the greatest, but hey they're done. If you're looking for professional quality, you will not find it here. I think it would require several takes and some editing for that to happen. But, what you will find is me sharing my creative process in real time. In this first video, I am not as organized as I should be and don't have everything set out ahead of time. But, live and learn. When a video is LIVE, you get what you get. I did learn as the day progressed and made changes as I continued. If you have suggestions for further changes, please let me know. If you enjoy the videos and watching the creative process, also let me know. This video is using the Stitched with Cheer kit from Stampin' Up. 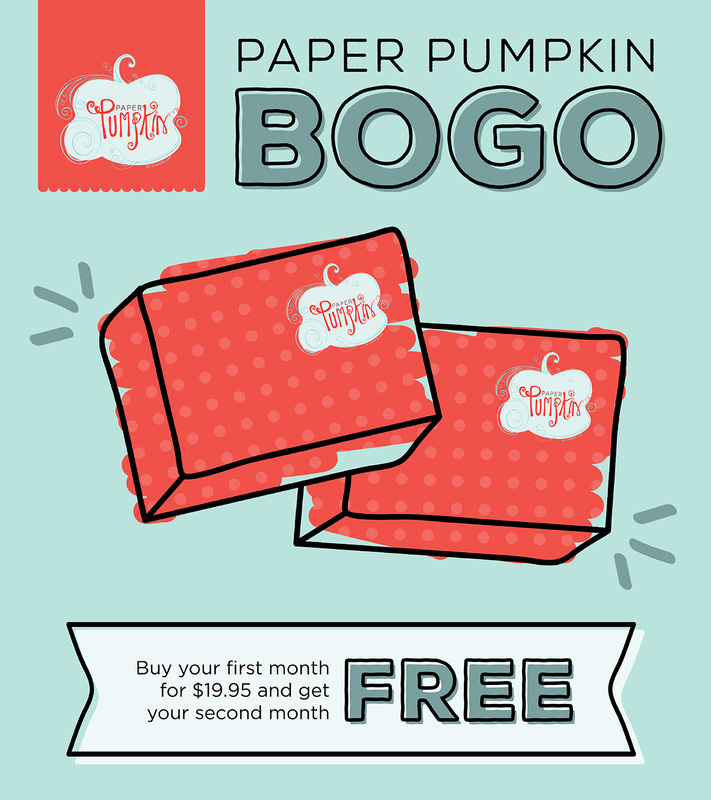 It comes with everything you need to create 18 cards (6 each of 3 designs) except the stamps, ink, and adhesive. I happen to have the stamps and ink colors, so if you live close get ahold of me and we can get together and you can use my stamps and ink. If you don't live close, you can purchase your own, or make substitutions using what you do have.